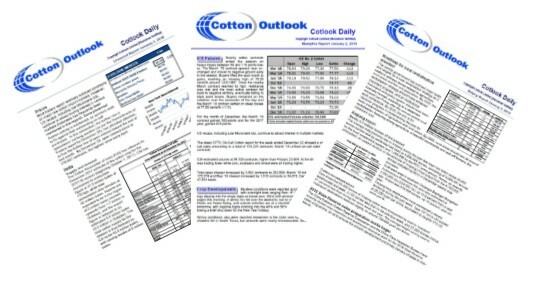 The Cotlook Daily Service provides our subscribers with the most comprehensive and timely information from the world’s major raw cotton markets. The service includes three daily reports from our offices in Liverpool, China and Memphis, summarising crop, market and price developments from around the world. These reports summarise the up-to-the-minute information published on our website 24 hours a day.